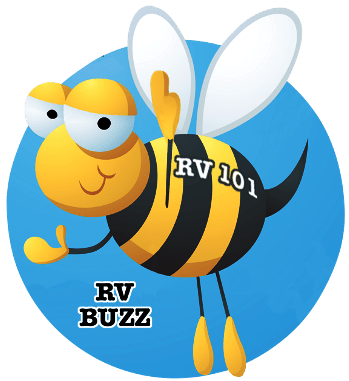 How Much Water Should I Add To My RV Battery? That’s a good question, but before I answer your question let’s talk briefly about checking the electrolyte levels in your lead-acid batteries. Checking the water level in lead-acid battery cells on a regular basis can save and extend the life of your RV batteries. The more a battery is used and/or charged the more water evaporates from the cells. I recommend checking the water level monthly and after each RV trip. 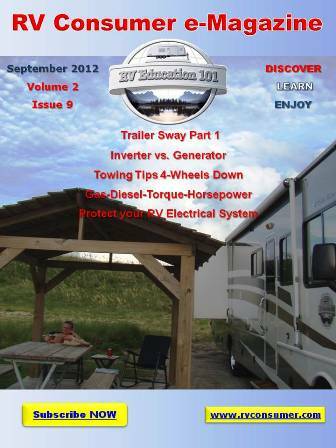 If you leave the RV plugged in, constantly charging the battery, you should check the water levels bi-monthly. Next it’s important to know you only add water to a fully charged battery, unless the water level is already below the plates in the cell. If the water level is below the plates add just enough water to cover the plates and recharge the battery. When a battery is fully charged the water level is at the most accurate level. This is when you should check battery water levels. Note: If you are not comfortable working on or near lead-acid batteries have a qualified RV repair facility perform the battery maintenance for you. When you work around batteries wear goggles and gloves, remove all jewelry and do not smoke or use any open flames. To answer your question when you add water to a battery you only fill the cell to 1/8 inch below the bottom of the fill-well or split-ring. If you look inside the battery cell you will see a plastic ring that extends down inside the cell roughly 1 inch. This is what is referred to as the fill-well or split-ring. The electrolyte solution in lead-acid batteries is a mixture of sulfuric acid and water. If you add too much water a couple things will happen that can be detrimental to the battery and to you. Adding too much water can deplete the required electrolyte solution of acid and water resulting in compromised battery performance. Adding too much water will result in corrosion caused by overflow during charging. Sulfuric acid is extremely corrosive and can can ruin paint, burn your skin and damage clothing. Over filling a battery is bad, but even worse is when a battery is under-watered. When a battery is not recharged in a timely or when the plates are not covered by the electrolyte solution the plates begin to sulfate. The sulfate material attaches to the discharged or exposed portions of the plates and begins to harden into crystals. Eventually the sulfate material cannot be converted back into active plate material and the battery is ruined. Battery sulfation is the number one cause of battery failure. Always make sure the plates are covered by the electrolyte solution. When you add water to a battery only use mineral free water, distilled water is best. Follow these basic battery maintenance procedures and add years of life to your lead acid RV and automobile batteries.